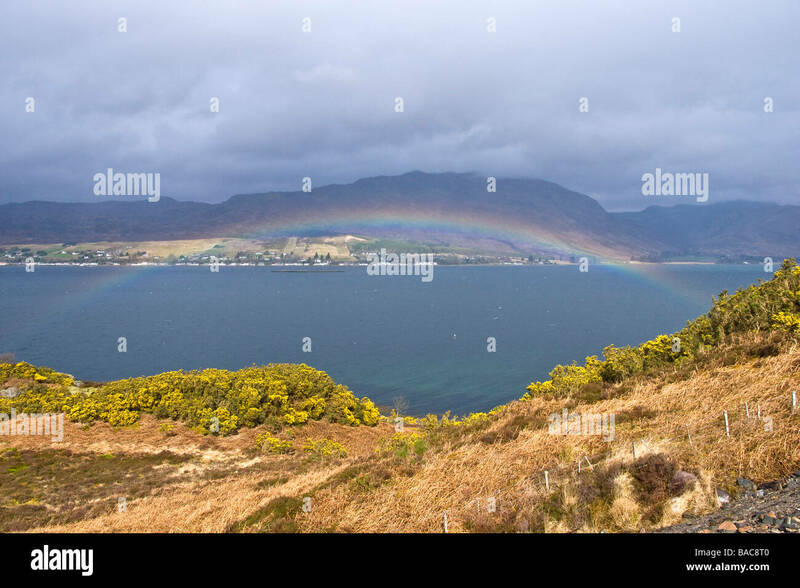 Rainbow over Loch Carron in the West Highlands of Scotland on a showery April day with the settlement of Lochcarron behind. Editorial use only. No commercial use.